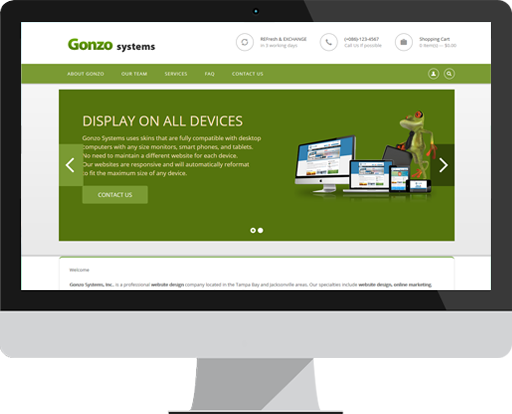 Gonzo Systems, Inc. is a Florida based website design and hosting company founded in 1995. Gonzo Systems, Inc. currently has offices in the Tampa, Jacksonville and Nashville areas. Gonzo Systems, Inc. caters to both corporate and small business clients providing state of the art services nationwide. We invite you to join the hundreds of businesses that have already worked with our team of experts in designing the perfect internet solutions for their businesses. We have only one objective, YOU and YOUR SUCCESS! Keeping that in mind, Gonzo Systems, Inc. seeks out the most qualified candidates to make our team a success. Our experts in website & graphic design, marketing services, database & hosting solutions will make it easier for your business to have a professional online presence which will help generate new business and increase awareness of your business 24/7! We welcome the opportunity to discuss your "online" needs on a one on one basis, and will answer any questions you may have about the process of building a website or establishing a brand for your personal or business needs. Although we have offices in Tampa, Jacksonville and Nashville, we have helped businesses all over the United States and Canada to grow and have helped them reach their highest internet potential. 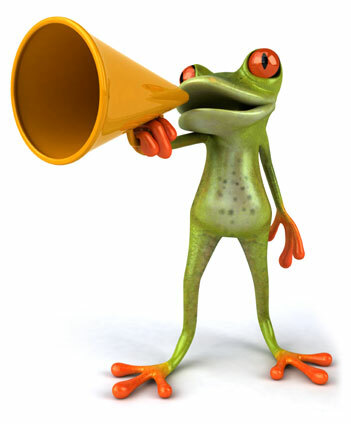 We look forward to working with our next client…YOU! Our goal first and foremost is to help you succeed. If you can conceive it, we can help you achieve it. Your dream is our reality and it all begins with communication. Our trained staff of professionals takes pride in asking questions about your business and tailoring a solution that fits your needs. We deliver on our promises on time, every time and within budget. We understand the importance of careful planning and precise execution. Our company is dedicated to keeping you ahead of the technological curve. We are always one step ahead of the next new thing and we will help you navigate through the latest technology as it becomes available. Elliot, I cannot thank you enough. Together we have created one of the most unique, modern, interesting yet simple lawyer websites on the Internet. When we started SLG 16 years ago, we were one of the first to use the term "law group" in our name. Now hundreds of firms have followed suit. Mark my words... In a few years there will be a similar avalanche of firms attempting to copy the format we've created here. Elliot, thanks for all your help and patience. I love the website, and I'm very excited. It was great working with you and Kirk again. I have received so many compliments and kudos on my website. My daughters love the book, yet are even more impressed with the website. Thank you! When our company was looking for a web designer, we wanted a company that could create something unique and different to set us apart. Gonzo Systems went over and above anything we could have imagined to create a masterpiece in technology that is fitted to our specific needs and is now patent pending. With over 65 chapter schools, 4-6 large onsite martial art trainings around the U.S., shopping cart, intranet for our 2000 plus paid members, keeping info updated on web and database current in real time. Gonzo Systems has saved us hundreds of thousands of dollars over the last ten years. Thank you and we will always promote and share your name to others who need quality and professional web/database development. When my corporate clients visit my website, they know that the fees are commensurate with the quality of the website. Thank you for such an amazing professional look and feel of almonguntermotivates.com. Any business is only as good as its staff. So to maintain our excellence, we need more talented and promising people to come and join us. Email us your resume today.